I used to think that Frederick Childe Hassam’s most evocative paintings were his moody, poetic winter scenes of turn of the century New York. 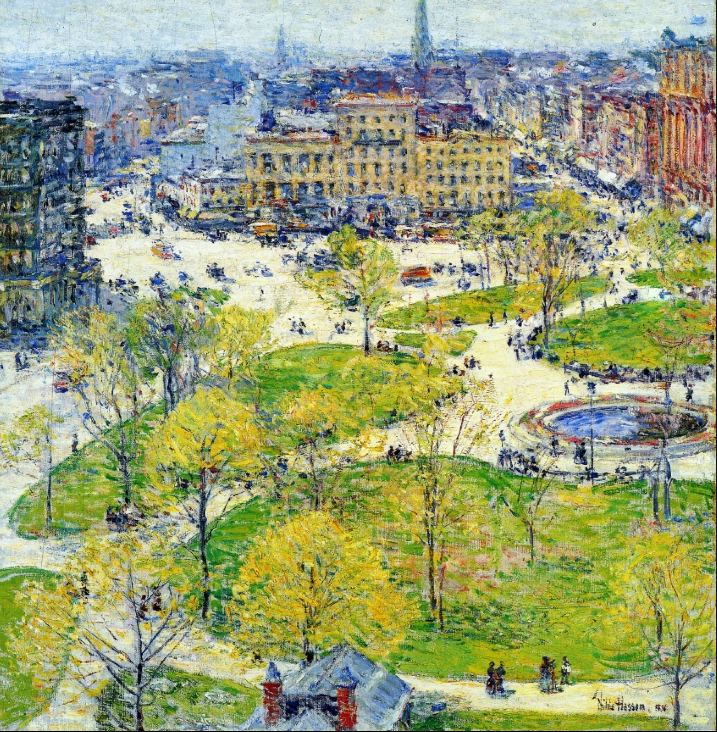 But his Impressionist renderings of Manhattan in springtime—lush parks, rainy blue twilight, and exaggerated pastel skies—are just as striking. 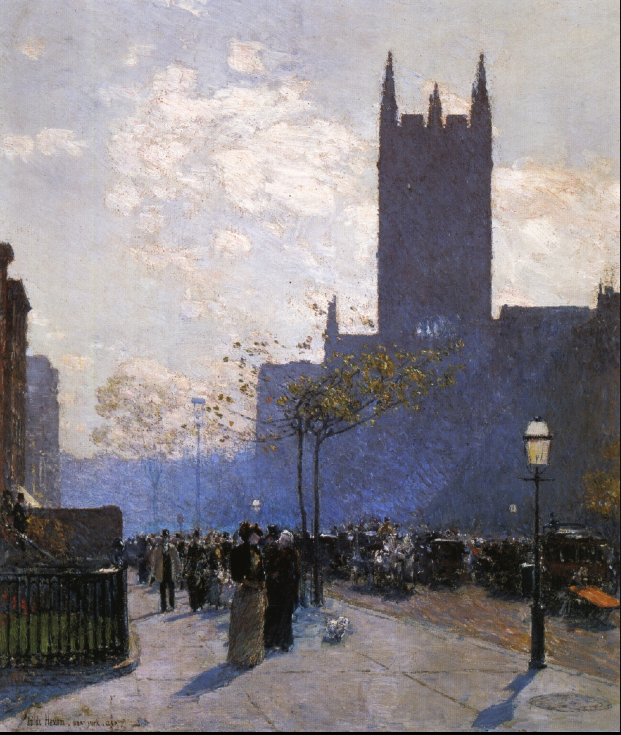 “Lower Fifth Avenue,” at top, depicts the lights and shadows of what appears to be an early spring day in 1890, warm enough to do without overcoats and for leaves to appear on fledgling trees. “New York is the most beautiful city in the world,” Hassam reportedly said, citing Fifth Avenue as the city’s loveliest street. 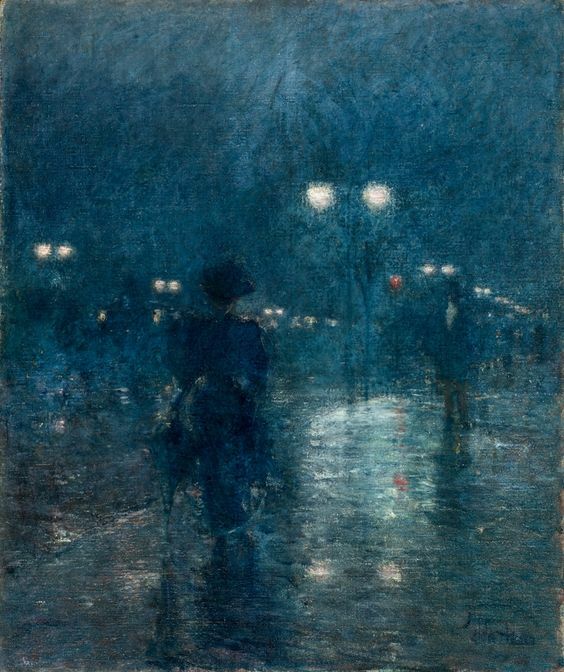 “Fifth Avenue Nocturne,” from 1895, gives us sidewalks slicked with rain and illuminated by electric lights. 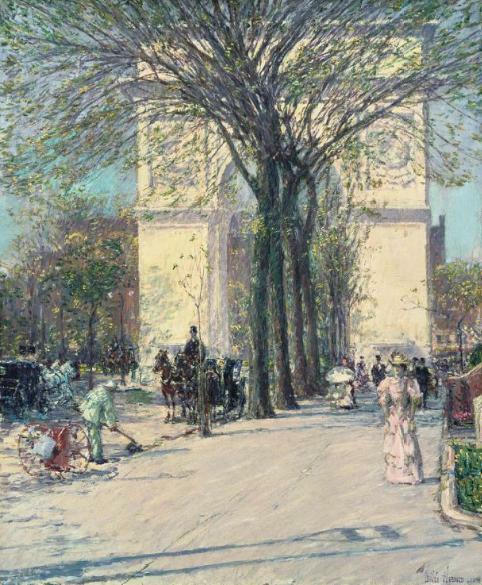 The stretch of Fifth Avenue from Madison Square to Washington Square was Hassam’s milieu; no surprise, as he had studios at Fifth and 17th and 95 Fifth Avenue in the 1880s and 1890s. “Washington Arch, Spring,” from 1890, shows what Hassam called “humanity in motion,” which he considered his primary subject and theme.